I don't know why this is so difficult for me. Maybe because pictures never stop? And I am never done organizing? It's annoying. 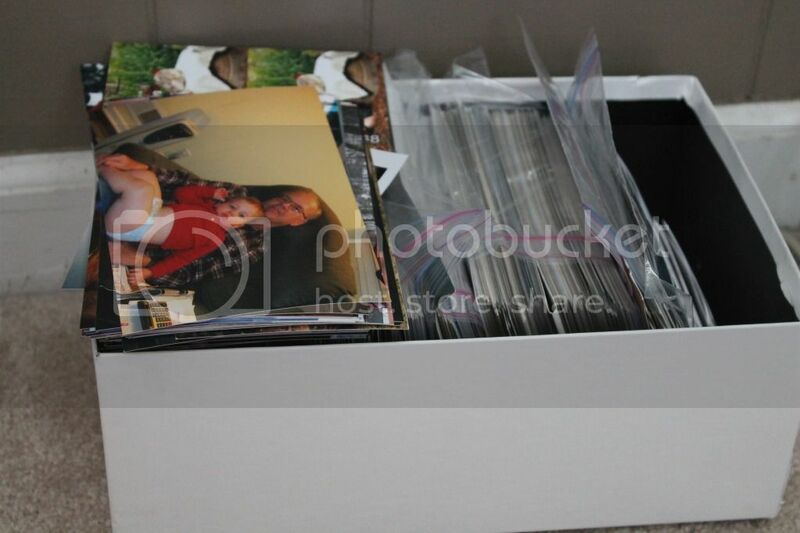 So I have spent a lot of time going through and thoroughly organizing our family photos. I began this process here by brainstorming all our problem areas. Basically hardcopies and digital. I want one go-to place for all my hard copy photographs. I want all our digital photos organized by month and year. And I want back ups of every year (digital files only) stored in our safe. I also want a current video walk-through of all our possessions (stored in our safe) for insurance purposes (maybe done once a year?). 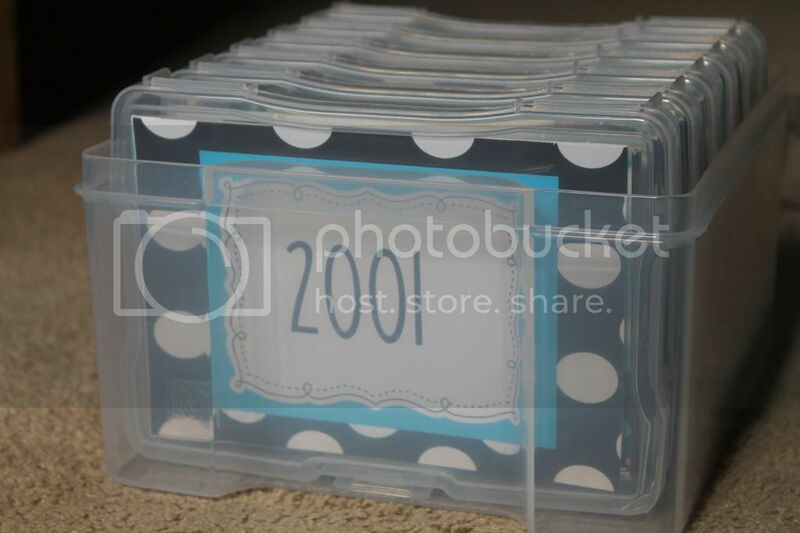 I continued my goal by using these amazing photo storage boxes that I found on Amazon. 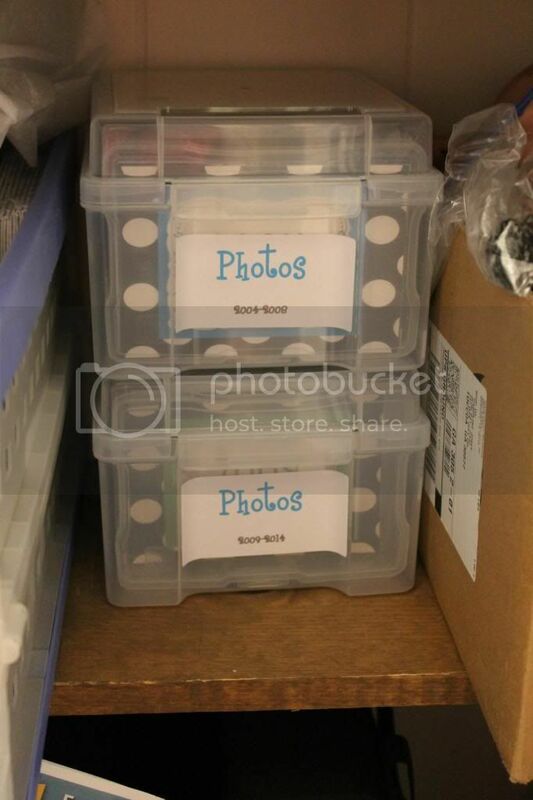 I sorted piles of pictures into years and filed them away- but I had to buy 2 more identical bins to fit everything. And that's when the organizing stopped back in September. I also shared in a previous post about how I made the cards to label each sleeve. Now that it's been 5 months, I figure I need to get going again. The motivation? 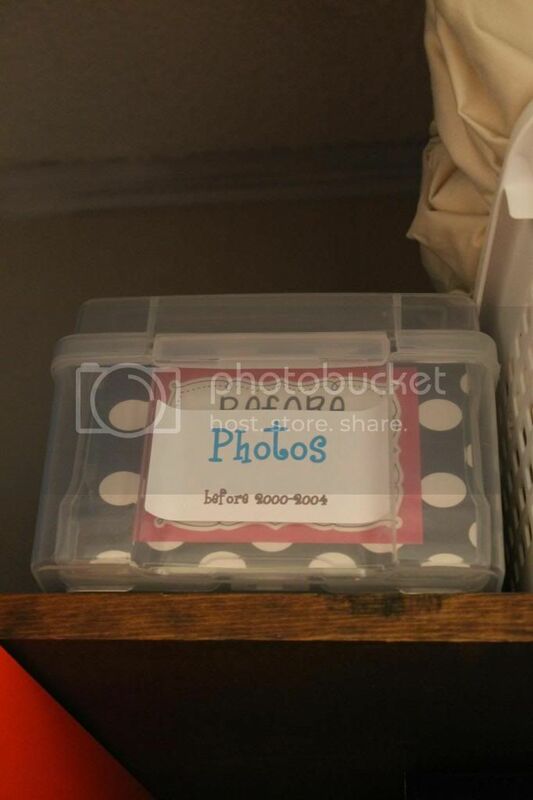 I'm tired of seeing a pile of photos sitting on the nursery floor. I needed to finish sorting by year and I quickly realized that some years needed 2-3 plastic sleeves. (2004's pile was like a foot tall- high school graduation, beginning of college. Enough said). Before I finished sorting the pile, I went through the photos I already decided to keep and did one final purge. I don't want to throw away memories, but doubles and pictures of people I don't know all made their way into the trash can. Then as I sorted the remaining pile into years I was very strict about what I kept. It's embarrassing that I have ZERO pictures from 2009 (ummm that's the year my firstborn made an appearance into the world). And ZERO from 2011. And I have 4 plastic sleeves from 2004.
and they now live in our book closet- within reach. I had to print a few extra year labels to go in the front of each plastic sleeve. I also printed up a quick label to go on the outside of these boxes. As soon as I save some $$ I will probably go ahead and buy another plastic box because I only have 1 sleeve left (for 2014) before the third box is filled. My next goal is to get my print on... from about 2005 and on. Ironically? The year I made the switch to digital. I am going to keep my eyes peeled for free printing promo codes from different sites. 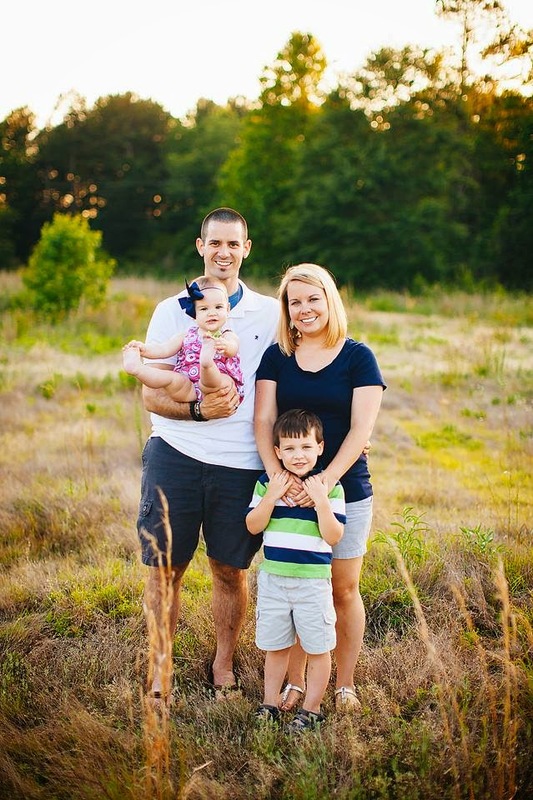 Originally I just wanted to print our professional pictures, and while I still want to do that I think I want to choose 100-150 of my favorites from each year. The digital age has KILLED printed photography and I refuse to dig the graveyard here! As a kid one of my favorite things to do was to go back and look at family photos. I loved taking in the backgrounds and seeing how everyone changed. I want my kids to be able to do the same! As for digital photos. I have been pretty good about keeping up with months/years in a folder on our external hard drive... until I got my new camera with a 16gb SD card. YIKES. Last I checked there were 950+ photos sitting on my card. So I knew I needed to sort those babies. I keep files on the external harddrive organized by year and then month. Once I empty my SD it's a pretty mind-numbing process... figure out when they were taken... drag, drop into the correct folder, and repeat until the camera card is clear. Although I don't feel like I've made much progress... (because this post was mainly about things I've already been doing) it is a huge accomplishment to have all our hard copy photos organized. And it's a relief to have 950+ photos off my camera card. I also uploaded over 140 pictures from my iPhone and sorted them into those same folders. I would be devastated if I lost those pictures/videos. I anticipate the next step (backing up all the digital files onto CD to store in our safe) to take the longest. It won't be difficult. Just time consuming and boring. My ultimate goal from all of this is to create annual yearbooks. I can't even begin this until digital organization is finished (and I have saved a little $$). I have decided to go with "My Publisher" to print the books. They seem to always have a promo code out there.